Metacritic aggregates reviews of stuff – movies, games, TV, and music – and assigns an average score based on the (presumably mean) average of the scores of all reviews. It’s a useful resource for monitoring critical consensus each year, and also for seeing the obvious differences between the methodologies for how different types of reviewing work – films get panned far more often than records, for instance – and I’ve been using it for a decade or more. 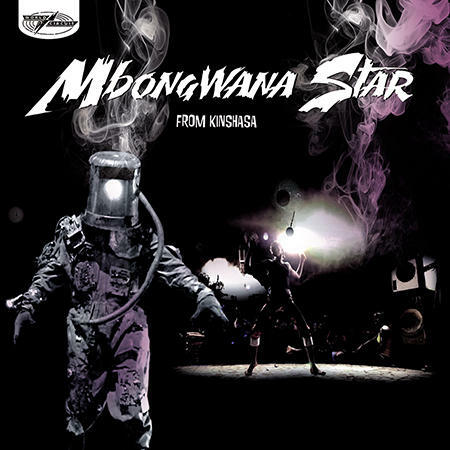 One album that jumped out at me early in the year was From Kinshasa by Mbongwana Star; with a ‘metascore’ of 88, it was one of the highest-rated albums of the year so far, and I’d never heard of it (I’m not sure how I’d missed the glowing lead review in The Guardian). When some vouchers for that rainforest shop (which I normally boycott) unexpectedly fell into my hand a few weeks ago, I decided, never having seen this in my local record emporium, to take the plunge. Before record club, though, I’d only listened to this once, and even then not managed to get all the way through: finding time to listen to records all the way through (rather than putting them on and then being distracted by something more important, like poo, or nappies, or nappies full of poo) is tricky with an almost-one-year-old in the house. Off that single, distracted listen, plus last night’s record club spin, From Kinshasa sounded almost exactly as I’d expected, in that I’d not really known what to expect: heady, Congolese percussion, cloudy, fuzz-coated electronics, dirty, cavernous basslines, beautiful singing (presumably in Lingala), and guitar work that oscillates between (what I understand as) the soukous style, and something far more post-punk. It is, as the Guardian review suggests, a complete culture clash (with a fascinating backstory involving Staff Benda Bilili, several generations of Congolese musicians, and a producer/bassist from Ireland by way of France), that by turns sounds like experimental rock music, hip hop, dub, dance music, and what I’ll refer to (from my limited exposure and experience) as more traditional African music (I’m aware that Africa is a massive continent with thousands of cultural traditions and that this is a sweeping generalisation). A bit more googling reveals that the album was intended to be called From Kinshasa to the Moon (the opening track is still called this), which makes the weird spaceman on the cover make a little more sense. ‘Mbongwana’ means ‘change’, and, like most change, From Kinshasa is exciting, confusing, and a little ominous. Luckily it’s also absolutely terrific. Graham listened: It’s great when something like this comes up where I have no idea what it is going to be like, no reference points for anything like it and yet it still clicks with me straight away. It was great for all the reasons Nick says and transcended so many styles but never lost its groove. The African continent may just be about to enter my CD collection. Rob listened: A great DRC moment. Nick attempted to set this one up, essentially telling us that he’d bought it based on a number at the top of a set of reviews and hadn;t even listened to it right through yet. None of those details are bars, of course, but they illustrate that perhaps we didn’t have overwhelming expectations as ‘From Kinshasa’ started to spin. It started probably as we might expect. A little dubby, a little afrobeat, a little non-specific African (for me to claim I could place it more specifically would be disingenuous, in fact I don’t remember Nick mentioning Soukous on the night, but I thought that style of guitar was at least one that I had heard quite a bit of before, and I didn’t hear it here). It fit nicely as a closer, almost a summariser, of the three records that had preceded it. We carried on chatting, agreeing that the record was pleasant, wondering vaguely what time we would get home, or get the washing up done in my case. And then, as it progressed, the record began to weave a set of magic spells. We’re talkers at DRC and many a very fine record has been completely obliterated by our squawking, usually on completely unrelated topics. It seemed for all the world as if this one was going to follow suit, but from about half way in, various of us kept dropping out of the conversation and focussing in on what was happening in the music. It’s hard to explain, but there are incongruous details running through this music that acts as mesmeric lures. An unnecessarily frantic rhythm here, a skranging Gang of Four guitar loop there, an unplaceable, unshakeable loop that could be a keyboard, could be a guitar, seems most likely to be an ice-cream van over there. By the time it finished, we were all listening pretty closely, variously agog at different times, and all wondering whether we’d just talked all over one of the albums of the year. Tom listened: Wow. This one came roaring out of the blue, unannounced and unheralded; even by Nick, who hadn’t even listened to it all the way through before playing it to us. From Kinshasa was an epiphany for me – an album from the African continent that sounded like nothing else, a music that tapped into the heritage and culture of the (somewhat appropriate) DRC but very much pointed a way forward into uncharted waters, a marrying of the old and the new, of tradition and modernity, of the developing world with the ‘western’ one. The one thing that fascinated me most of all was how Mbongwana Star did this – what was it in the sound of the album that produced this impact? Unpick any particular part and, in isolation, it was recognisable, familiar even; but melded together…wow! One of the very best new discoveries that DRC (record club that is, not Democratic Republic of Congo) has provided me with thus far. I will be getting this album!